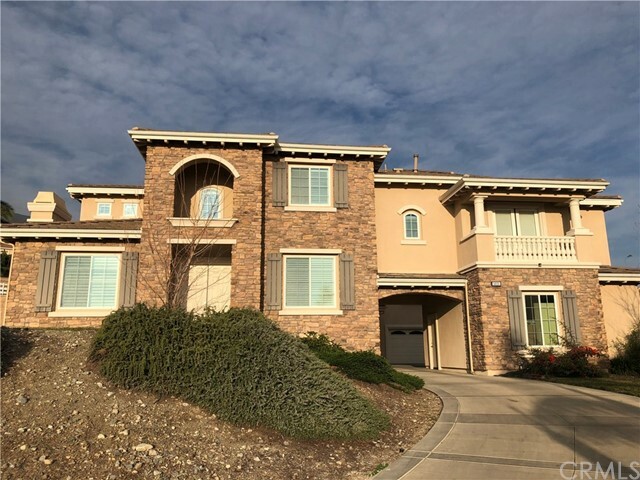 All Rancho Cucamonga homes currently listed for sale in Rancho Cucamonga as of 04/19/2019 are shown below. You can change the search criteria at any time by pressing the 'Change Search' button below. 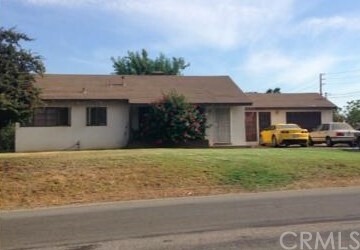 "This property located in city of Rancho Cucamonga, corner lot and has two houses on the lot. easy accessible to 15 Freeway and 10 Freeway. Buyer to verify all information and suitability for intended use. 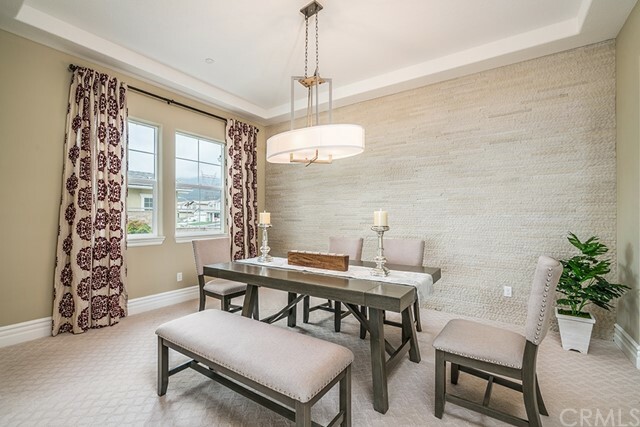 Also listed as commercial listing IV18206991"
"NRIVALED, Uber-Luxe Residence within Gated Guarded community of Haven View Estates reconstructed less than 3 months ago. Breathtaking views & amenities too many to mention here. Prodigious Savant System Technology. Kitchen has enormous Island w/Butterflied Bookmatched Brush Marble. Wolf dual Fuel 48 (6 burner 1 griddle) w/Chef pastry enhancements & pot-filler water faucet. Exquisite Master Suite w/Retreat seating, LED fireplace & Balcony for Overwhelming Panoramic Views! Master Bath w/infinity edge tub/spa from ceiling water-fill, effervescent water controller & Mr. Steam shower pack (Aroma/Chromo therapy). Theatre room embellished with reclining leather seats, 120 screen, 4K monitor projector & Lavatory. Offer s a walk-down Legacy Suite & full bath w/access to Courtyard & pool for guests. 4 Jr-Suites w/private baths. Bring the inside out with La Cantina sliding glass wall leading to the California room, fully equipped outdoor w/Lynx BBQ grill kitchen, High Power WOK-Burner & icemaker! Salt water infinity pool & spa accented with glass lit fire-pits. Captivating gentle flow Water Wall.. Sound system inside & out. Elegantly Hardscaped & Landscaped, crowned with a unique Hollywood Hedge for additional privacy & beautifully lit Pineapple Palm trees. Modern breezeway to 4+ car garage. Attention to intricate detail is un-paralleled to any other. See supplemental for Amenities List. Satisfy your expectations with this stunning Resort-Like Estate! Schedule your viewing TODAY!" "A breath-taking mansion located the prestigious Deer Creek community with tons of amenities. Over 7000+sf gross living areas boasts 6 spacious bedrooms, one office, 5 full bathrooms and 2 half bathrooms. Gourmet kitchen is a dream-come-true for any chef. It boasts 2 good-sized islands, all stainless steel appliances and gorgeous custom cabinets. The warm travertine flooring through-out the house makes the house feel like home and have high-end taste. The built-in custom entertainment center center with 103-inch projection screen in the great room is one of the many stunning features of the home. But it only gets better! When you go to the lower floor (this home has a total of 3 floors), there is a luxurious bar facing the pool table and a half bath. There is also anditional room perfect for a home theater or gym! Master bedroom has two sitting areas. Master bathroom is luxurious and spacious with a customized steam shower. Mountain view from the master's balcony. Backyard is also stunning and great for entertaining. Pool/spa has great stonework, beautiful lights and a water fall. Covered BBQ area is attached to the Guest house, which has a full bath, a sauna room and an entertainment room with fireplace. 36-panel solar panels are owned and paid-off. Manicured landscaping . Circular Drive way with remote-controlled gates and RV parking. 10-camera system is included. Los Osos high school." 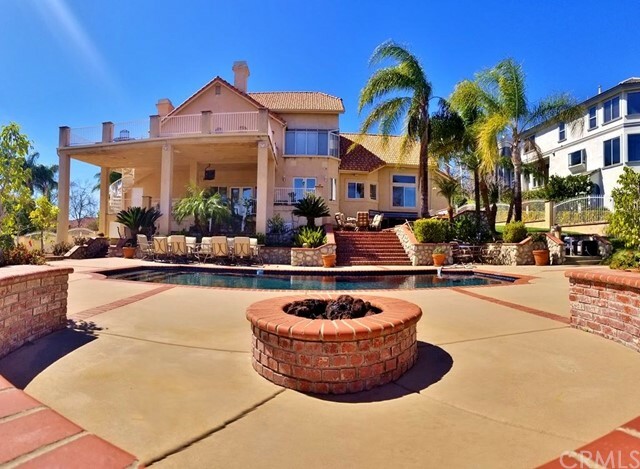 "Luxury Toll Brother Estate in guard gated Haven View Estates with amazing view. One step through the foyer leads to a stunning double wrap around staircase with Crystal Chandelier. Foyer leads to peaceful dining quarters which features beautiful custom windows that provide natural light. The gourmet kitchen equipped with stainless steel appliances that surround granite counter top island. Formal living/great room allows for great entertaining and interaction with guests with open floor plan and amazing fireplace. Mother in law quarters down stairs provides privacy with walk in closet and full bath. Master quarters and bedrooms each have walk in closets with individual bathrooms. Custom home theatre allows for movie watching in the privacy of the estate. The interior boasts surround sound throughout the interior with sounds of pure elegance. Fully landscaped estate also has artificial grass in the rear which requires little to no maintenance. Solar power is also a big plus for the estate which keeps energy costs down." "VIEW, VIEW, VIEW. 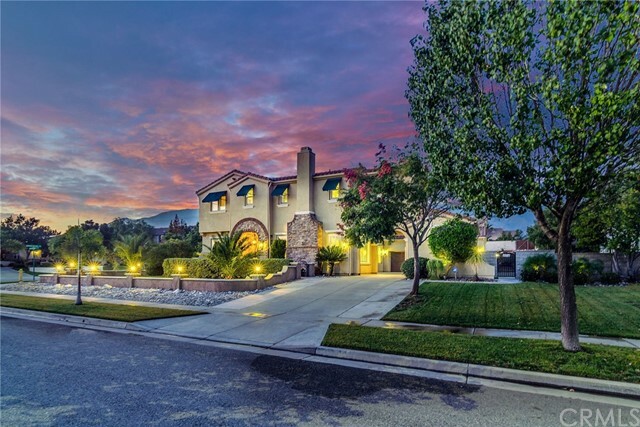 This spectacular custom built estate located in 24 Hours Guard-Gated Haven View Estates in Rancho Cucamonga. 6 Bedrooms 6 Bathrooms (ALL SUITES) 2 large suites + game room on main floor with elevator. Elegant & tastefully fully upgraded included granite counters, marble,hardwood and silent flooring, custom window covering, Limestone around windows, crown molding,Newly painted inside & out, intercom, surround sound system, central vacuum, sound muffling pipes, extra insulation and recessed lighting thru-out. Chandeliers electronic lowering for easy cleaning. Large Living room w/fireplace and high ceiling. Gourmet kitchen with large island & top of the line appliances and large balcony to enjoy the view. Upper level with 3 suites + office. Huge master with balcony, spa tub and walk-in closet. Lower level has maid/ guest quarter with private entrance. This home is fully ADA compliance throughout which include wide doors and no steps. Professionally landscaped Large front and backyard has beautiful Koi pond with koi fish and waterfall, built-in BBQ, and sitting area. Room for pool, spa, sport's court, Gazebo or more. Wrought iron staircases from kitchen balcony to the backyard. 4 car garage attached. Close to schools, parks and Victoria Gardens Mall. Cul-De-Sac location." "VIEW. VIEW. VIEW. This panoramic view estate located in 24 Hours Guard-Gated Haven View Estates. It built in 2006 with elegant & exquisite endless details throughout. Very open floor plan with 5 Bedrooms, 6 Bathrooms + office (One suite downstairs). Large living room and formal dining room with high Ceilings. Excellence in interior design with custom details including custom draperies, crown moldings, recessed lightings and travertine stone floors throughout downstairs. Family room with fireplace and open to the kitchen. Gourmet kitchen with center island, granite counters, built-in refrigerator & stainless steel appliances. Huge master suite w/ retreat and fireplace + large walk-in closet. Beautifully landscaped backyard with breathtaking CITY LIGHTS VIEW + approx. 500 SF enclosed casita/bonus room with granite counters, center Island, built-in BBQ, cook top and ceiling heaters. Entertainers delight. 4 car garage attached. Close to schools, parks and Victoria Gardens Mall." 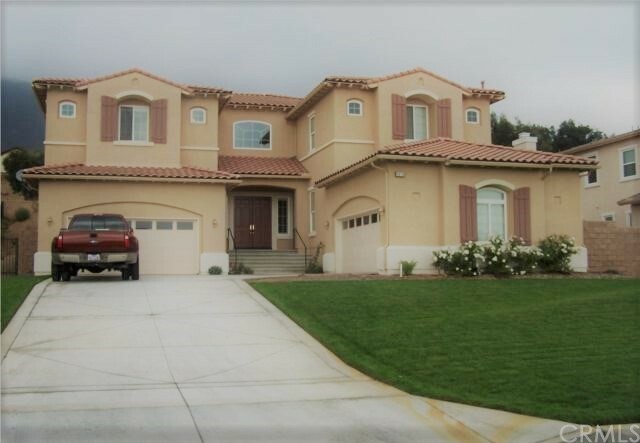 "Welcome to your exquisite Toll Brothers Estate in the Etiwanda area of Rancho Cucamonga! 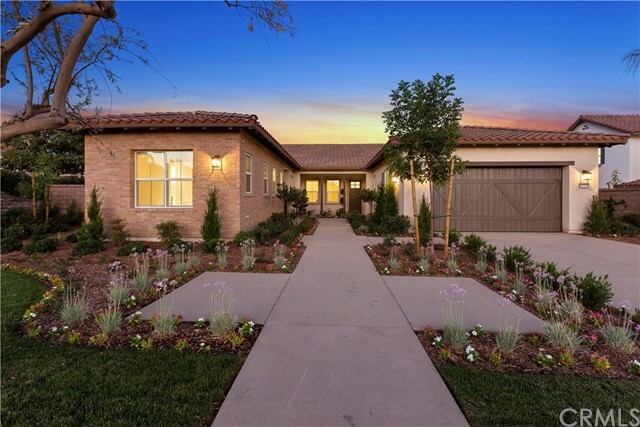 Known as America s Luxury Home Builder they truly showcased their superior home building skills with this popular Carlsbad floor plan which is the largest in the community. Walking into your grand foyer you are immediatley greeted by a marvelous double stair case that encapsulates you with the feeling of just how truly majestic this home really is! Featuring a gourmet Chef s kitchen with stainless steel Kitchen Aid appliances including double ovens, an upgraded hood with a six burner gas range, and a custom built in refrigerator! Recent upgrades include wooden shutters, a combination of marble, wood and carpet, crown moulding, and fresh paint inside and out! With just under 6,000 square feet of living space on over half an acre this wonderful estate includes six bedrooms, a gorgeous custom office, and seven baths! Each bedroom includes its very own full bath, while the Master bath offers double showers, dual toilets, and a beautiful custom walk in closet! Outside you will find your very own private oasis that includes lush green, mature trees and shrubs all surrounding your beautiful custom built rock pool and spa! Enjoy entertaining under your backyard pavilion and covered patio with your barbecue, fire pit, water slide, surround sound and Basketball court! Double balconies, one in front with beautiful views of the mountains, and one in back overlooking your private oasis." "Good features: (1) One owner only Toll Brothers Home in mediterranean Style with grand front inviting entry; (2) 24 hour gated and guarded community with single houses sitting on large lots with hiking and horse trails, mountain views , city lights in Haven View Estates;(3) Built in 2012, newer than many other houses in this community on market. Owner bought house and a nearby warehouse intending for long-term stay, but have to sell now due to business relocation; (4) Kitchen with big island and counter opens to family room with fireplace TV and breakfast nook with access to backyard BBQ total open floor design with great function flow for casual dining, entertaining & weekend family friends gathering;(5) Formal dining room with high ceiling and open to living room with fireplace function very well for formal events;(6)Two separate 2-car garages combined with side yard to provide a function of a great motor court, convenient for backing out cars; (7) All 5 bedrooms has its own ensuite full bathroom with master bathroom has two separate toilets in separate enclosed area for his and her privacy and convenience; master suite has separate lounge area for wine (8) Big lot with landscape maintenance almost free:owner worked very hard to take California water shortage and water cost into consideration, spent thousands of dollars installing synthetic grass in most side-back yard; This combined with the fact owner picked a house with no swimming pool, your savings in maintenance!" 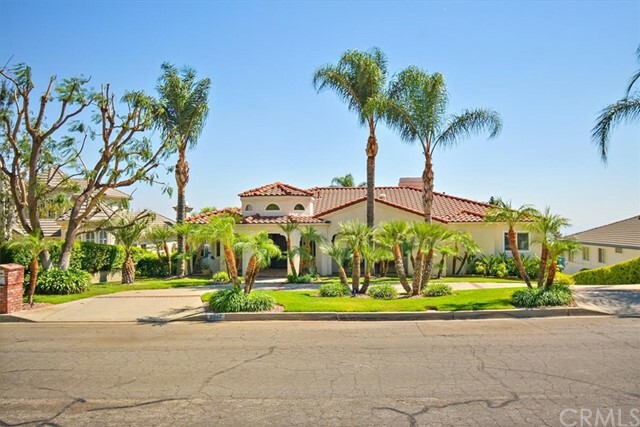 "Magnificent Toll Brothers Home (Santa Barbara Model) Located in the Guard Gated Community of Haven View Estates. It Features Library, Bonus Room, Extended Family Room and Living Room with Fireplaces. Gourmet Kitchen with Large Island, 6 Burner Cooktop with Griddle, Double Convection Ovens, Trash Compacter, Butler s Pantry. Dramatic Two Story Foyer and Double Staircases with Custom Granite Medallion. Crown Molding Throughout. One Bedroom Suite downstairs, Laundry Room. Upstairs: Huge Elegant Master Bedroom, 3 Guest Bedroom Suites, and One Study Room. Stepping Out to the Backyard, Nice Spacious Patio with Built-In BBQ, Gas Fire Pit, Two terraces and Wonderful City lights and Mountain Views, Entertaining Delights! Dual Two Car Garages with Plenty of Driveway Space for RV Parking and Cars." 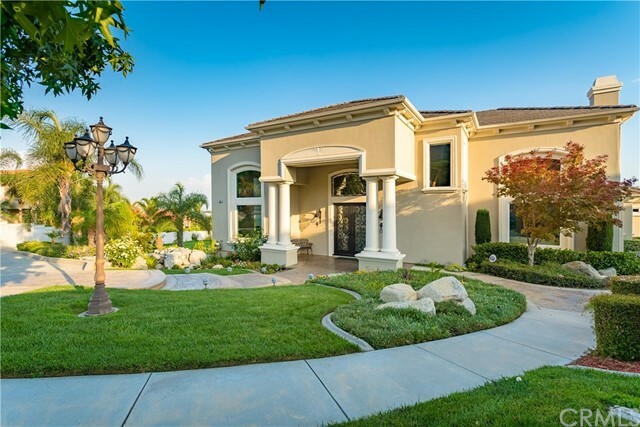 "This spectacular elegant Semi-Custom Tuscan Design estate by TOLL BROTHERS is located in a desirable area of Rancho Cucamonga. It has very open floor plan w/ 5BD and 6BA plus large loft (Total 4 suites; 1 suite downstairs). Each bedroom has a ceiling fan. High ceilings and dual wrought iron stairwells. Large family room and living room with surround sound system and fireplace which is open to the dining room. Built in 2004 with many upgrades including granite counters, crown moldings, travertine/tile, hardwood flooring, custom designed French glass doors, wood shutters and recessed lighting thru-out. Gourmet kitchen w/stainless steel appliances and center island. Large master suite w/ walk-in closet, fireplace and sitting area. Professionally landscape/ hardscape front and HUGE mature split level backyard with pool, spa, swim up bar, pavilion, fire-pit, lower level children play area with basket ball court, fruit/ palm trees, exquisite exterior lighting, extended large covered patio with fully equip built-in BBQ island, sink and refrigerator great for entertainment. Close to Victoria Gardens mall. WALKING distance to award winning schools and easy freeway access. LOW tax rates and NO HOA." "*EXECUTIVES-ENTERTAINERS-RV ENTHUSIASTS* CUSTOMIZED CARRIAGE ESTATE PLAN 4X HOME. SEPARATE STUDIO OVER GARAGE. CUSTOM COLORED HARDSCAPE AND CUSTOM LANDSCAPE THROUGHOUT PROPERTY. LARGE CIRCULAR DRIVEWAY. LARGE FRONT COURT YARD WITH WATER FOUNTAIN. CUSTOM IRON FRONT ENTRY DOOR. FLOORING THROUGHOUT HAS BEEN UPGRADED. ENTER TO FOYER. TO THE RIGHT IS A PRIVATE LIBRARY/OFFICE. STRAIGHT THROUGH THE FOYER IS THE LARGE FORMAL LIVING ROOM W/FIREPLACE THAT OPENS TO THE FORMAL DINING ROOM. MAIN FLOOR POWDER ROOM. LARGE FAMILY ROOM WITH BUILT IN SURROUND SOUND SYSTEM OPEN TO THE LARGE KITCHEN. WALK-IN PANTRY. LARGE LAUNDRY ROOM. MAIN FLOOR BEDROOM EN-SUITE. 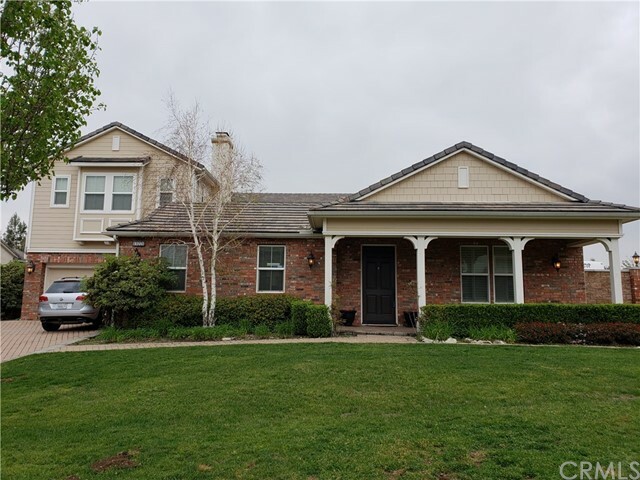 2ND LEVEL IS COMPRISED OF A MASTER SUITE W/RETREAT & FIREPLACE AND 2 BEDROOMS EACH WITH THEIR OWN FULL BATH AND WALK IN CLOSETS LARGE BILLIARD RM. BACK YARD HAS 2 CUSTOM COVERED PATIOS BUILT TO MATCH THE HOUSE WITH FANS AND LIGHTS. OUTDOOR COOKING AREA ACCOMMODATES MANY GUESTS. 1/2 ACRE LOT. PEBBLE TEC BEACH ENTRY, SALT WATER POOL AND SPA. LARGE ROCK WATERFALLS. 4-HOLE PUTTING GREEN WITH SEPARATE CHIPPING AREA LIT WITH LED LIGHTS. 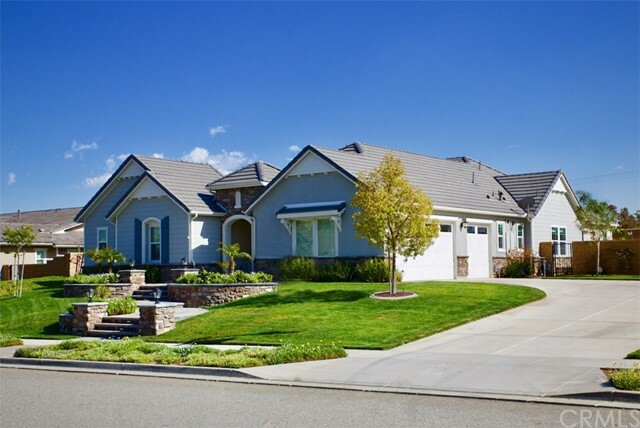 THE HOME FEATURES 2 TWO CAR GARAGES WITH A CUSTOM CARPORT THAT ALSO MATCHES THE HOUSE. 30' WIDE X 50' DEEP RV GARAGE. THE RV GARAGE HAS IT'S OWN 200 AMP PANEL PRE-PAID IN FULL SOLAR LEASE. SECURITY SYSTEM WITH 9 OUTSIDE CAMERAS TIED INTO WIFI 7 CUSTOM ALUMINUM ALUMINUM SECURITY/SCREEN DOORS (WHICH 3 ARE FRENCH DOORS)TO ENJOY THAT EVENING BREEZE. 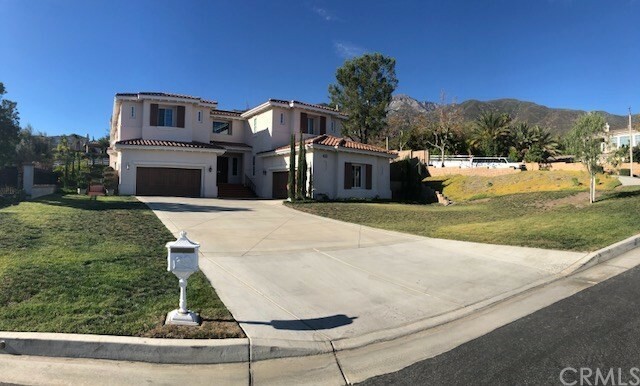 THIS HOME SHOULD CHECK ALL OF THE BOXES AND HAS BEEN MAINTAINED"
"Huge 20,000sf panoramic unobstructed view lot with a 4,270sf, 5 bedroom, 4.5 bathroom exquisite stately home nested at the very foothill of the Angalls Canyon in Rancho Cucamonga, second floor master bedroom opens up to an enormous deck with the most spectacular and breathtaking mountain and skyline view accommodating over a 100 guests celebrating the glories of life under the magnificent and starry twinkle stars. A spiral staircase connects the upper deck to the lower multi-tier covered patio overlooking a custom diaphanous pool reflecting the ethereal sunny Southern California eternal blue sky. SoCa signature palm trees line the luscious green yard, large circular surround centered with a gas fire pit accommodates a large band to entertain and delight hundreds of visitors and guests. A large custom built-in gas BBQ, an additional gas cook top, a second long countertop with sink and refrigerator, plenty of space for catering, such culinary amenities will satiate and satisfy any gastronomic desires. Large kitchen island with sink, drinking water spigot and trash compactor, central vacuuming system, family room with a bar completed with sink, refrigerator and icemaker in addition to an audio visual karaoke system, a true entertainment delight. Solar panel, gated side yard long enough for two large RV plus boat parking. Finally, a 1,400-bottle climate controlled wine cellar epitomizes the true meaning of a fine living. Come see this beautiful and impressive home today!" 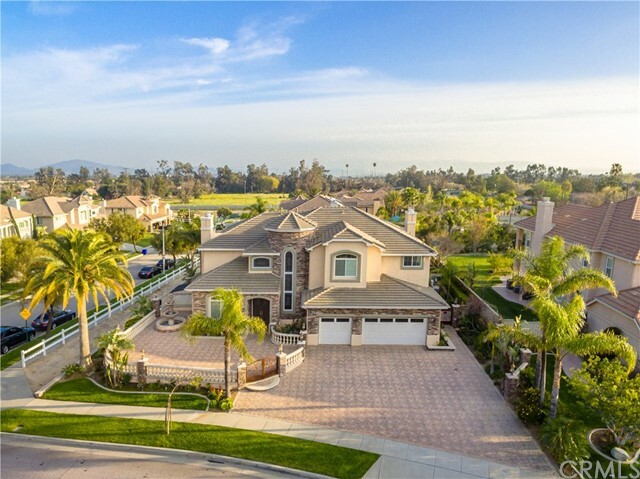 "Stunning City View Model of Blue Bird Floor plan in prestigious Gated Rancho Etiwanda Estates. 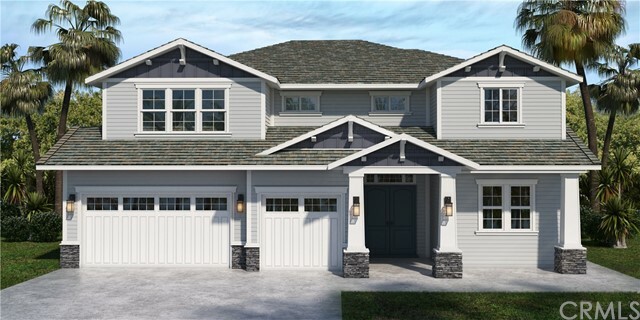 Gorgeous two story Model 3,708 sq. ft. 4 Bedrooms 3.5 Baths 3 Car Garage, covered patio and balcony off of master suite. Great room/High Heat Kitchen/ Loft and Upgraded Secondary Baths. Tray Ceiling options in Great Room, Dining Room and master. Crown molding option included. Home features multi-sliders doors to professionally landscaped back yard. NutMeg cabinets throughout with extended cabinets @ kitchen and additional upper cabinets selected. Upgraded Quartz counter tops with full back splash. Upgraded KitchenAid Appliances. Upgraded flooring, paint and appliances, tank-less water heater, pre-wire surround sound, alarm and upgraded can lighting package. Great location to everything:Victoria Garden Mall shopping, Parks and schools.Excellent Etiwanda School district:John Holden Elementary (gold ribbon/rating of 10), Day creek Intermediate School(Gold Ribbon/rating of 10)and Los Osos High (gold ribbon/rating of 9),Easy access to 210 and15/10/60.Must see!" "THis Stunning double stair case will take your breath Very Lovely Property on 1/2 Acre Horses allowed build by Toll Bros"
"Elegant & spacious home w/sparkling pool, paid off solar panels & a great curb appeal featuring stone, stucco & brick, awnings & an electric iron gate leading you to your private motor court w/4 car garage. Enter the marble floored rotunda w/sparkling crystal chandelier & an office w/espresso colored built-in bookcase. Next is the heart of the home- kitchen & familyroom. Dreamy kitchen w/mahogany cabinetry, stainless steel appliances, double ovens, microwave, dishwasher, 5 burner gas cook top, 2 pantries & a built-in desk. Family room has a gas fireplace w/custom marble surround & access to the backyard, making it a great space for entertaining. Overnight guests? Downstairs bedroom w/En-suite bath. Climb the wooden staircase up to the private areas. 3 bedrooms each w/their own En-suite baths & convenient upstairs laundry room. Multi-use loft area can be used as a game room, study area or TV watching room. Experience luxury & let the stress slip away as you enter your Master Retreat (or private living room) w/2-sided gas fireplace shared w/Master Bedroom. Perfect Master Bathroom awaits His and Her vanity, walk-in closets, a deep jetted tub, a glass walk-in shower, sparkling tile, marble floors...What else could you need? Finally, come outside great place to host pool parties & BBQ s. Dine Al fresco under the patio cover while enjoying our California weather. Raised planters & fruit trees of lemon, orange, apple, peach, pear, persimmon, plum & apricots. Come & fall in love!" "THIS BEAUTY STILL IS LOOKING FOR A HAPPY FAMILY TO SHARE ITS WARMTH AND JOY. Few words are needed: the pictures tell most of the story and a visit will show-and-tell everything. Coming across the subtle but lush front garden landscaping to the elegant entry, the home s outstanding architecture is apparent to the thoughtful buyer. Of the four bedrooms, one is a Casita style with its own door to the front courtyard. The kitchen boasts a six burner gas stove, etched granite island and counter tops and all the amenities that any good home chef could want including a walk-in pantry! Formal living and dining rooms with accordion style glass doors. The impressive master suite with its marble bathing quarters, walk in closet with separate, built-in organizers is the height of luxury. Accordion style glass doors open to the paver stone patio which boasts a fireplace, covered pergola, stainless steel barbeque, refrigerator, and a bar that comfortably seats six. A fire pit and gazebo enhance the pool and its adjacent rock-faced water feature. Fruit trees, children s play area round out the rear garden. More than $400,000 has been spent in upgrades. 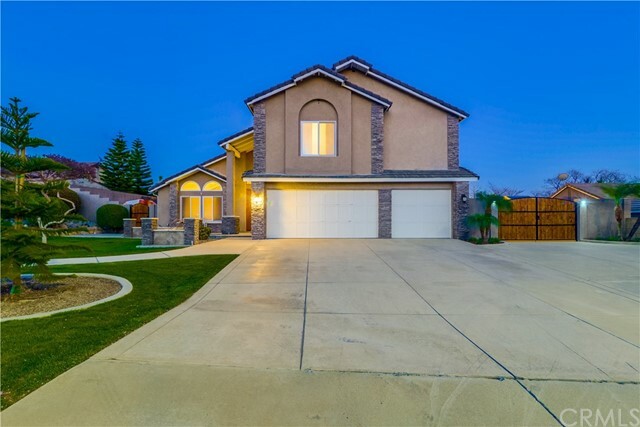 The home is conveniently close to the I-10, I-210 and I-15 freeways, to the Metrolink station, Ontario International Airport, Victoria Gardens and Ontario"
"BEAUTIFUL, SINGLE STORY HOME IN RANCHO CUCAMONGA. FEATURES 4 BEDROOMS, INCLUDING A CASITA OR MOTHER IN LAW QUARTERS, 3.5 BATHS, UPGRADED WITH CUSTOM BATHROOM MIRRORS. HALF BATHROOM HAS A BEAUTIFUL COPPER SINK AND UPGRADED LIGHT FIXTURES. MASTER BEDROOM WALK IN CLOSET HAS CUSTOM MADE SHOE SHELVES. SPACIOUS OFFICE. THE FORMAL DINING ROOM HAS A DESIGNER CHANDELIER AND A DOUBLE SLIDING DOOR THAT OPENS TO A MAGNIFICENT COURT YARD. GREAT ROOM WITH VAULTED CEILING AND A BEAUTIFUL CEILING BEAM EXTENDED TO THE KITCHEN. ITALIAN TRAVERTINE FLOORING THROUGHOUT, WITH A CUSTOM ENTRY MARBLE MEDALLION, WINDOWS WITH WOOD VALANCES AND BASSWOOD SHUTTERS. KITCHEN WITH UPGRADED LIGHT FIXTURES, LARGE FARM SINK BY FRANKE, CUSTOM TRAVERTINE BACK SPLASH ABOVE STOVE WITH BASKET WEAVEN PATTERN, BUILT IN KITCHEN AID REFRIGERATOR, DUAL OVENS, BUTLER'S PANTRY WITH BUILT IN MICROWAVE. CUSTOM FIREPLACE MANTLE, TRAVERTINE BRICK ON HEARTH, ELECTRICAL FLOOR OUTLET UNDER SOFA IN THE GREAT ROOM. OIL RUBBED BRONZE FIXTURES THROUGHOUT. SALTWATER POOL AND SPA WITH MOOD LIGHTS AND 15 FT LONG SLIDE, LARGE BBQ ISLAND WITH TILE WORK TO COMPLIMENT THE POOL, FRIDGE, SINK AND CABINET DRAWERS FOR STORAGE. 3 CAR GARAGE WITH EPOXY FINISH FLOORS, RV PARKING, STAINED CONCRETE IN DRIVEWAY AND FRONT ENTRY COURTYARD. FRONT AND BACKYARD BEAUTIFULLY LANDSCAPED, SPANISH FOUNTAIN, ITALIAN LIGHTS IN BACKYARD. 10 BY 10 STORAGE SHED FOR ALL YOUR STORAGE NEEDS." "Highly upgraded model home for sale! Last single story home in the community. This single story, approximately 3,657 square foot 4 bedroom, 3.5 bathroom home showcases a spacious open floor and luxury appointments. The Residence One s welcoming courtyard and cover porch entry lead into the foyer, spacious dining room and den with views to the great room beyond. The well-equipped kitchen is highlighted by all KitchenAid appliances, a large center island with breakfast bar, ample counter and cabinet space, roomy walk-in pantry and butler s pantry convenient for entertaining. The desirable and spacious backyard is accessible by beautiful 16 foot sliding glass doors. The stunning master bedroom suite is complete with elegant 10 foot high ceilings, recessed lighting, sizeable walk-in closet, and stunning master bath with dual vanities, large soaking tub, luxe shower with seat, and private water closet. Secondary bedrooms feature spacious closets. Additional highlights include a high 10 and 12 foot ceilings throughout, spacious 3 car garage, an abundance of storage/linen closets throughout, large centrally located laundry, and convenient powder room." 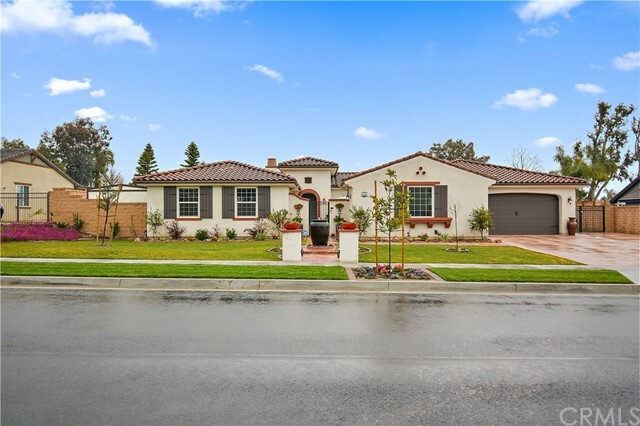 "Located in the prestigious gated King Ranch community in Alta Loma. Exquisite DeBonis & Faubion custom home features high walls of glass, impressive coffered ceilings, 3 raised hearth floating fireplaces, plantation shutter, new carpet & paint with beautiful marble floors. Essentially a single story home with 2nd level dedicated to the fantastic master suite! Inviting foyer under soaring 2-story ceiling has double leaded glass doors and atrium with a view of the grounds thru large glass panes. Sunken living room with impressive fireplace and 3 windowed walls. Stately office with oak block windows, double beveled glass panel door entry, stunning coffered ceiling & built-in library. Spacious formal dining room with see-through custom display case flanked by built-in china cabinet. Family room has a floating fireplace, media center, wet bar with refrigerator & wine rack, sliding glass door leads to backyard with pool. Chef's kitchen complete with dining area, walk-in pantry, breakfast bar, brand new granite counter tops, built-in Sub Zero refrigerator, 2 sinks, and brand new Kitchen Aid stainless steel appliances. Elegant master suite features a mountain view, deck with city lights view, 3-sided fireplace, sitting area, wet bar, oversized tiled walk-in shower, jetted tub, bidet & huge walk-in closet with shelving. Manicured grounds boast swimming pool and spa. 4 car finished garage with built-in cabinets." "Beautiful 5 bedroom 6 bath house. Walk into luxurious hallway with hanging chandelier. Living room with fireplace, across the hall is a office with beautiful cabinets and shelving with granite counters. All rooms have crown molding and recessed lighting. Kitchen has granite counters and tons of cabinets which extends to hallway pantry and downstairs laundry room with more cabinets and sink. Family room is very spacious and open with fireplace. There is a 4 car garage and RV parking. The pool and spa are pebble tec and has it's own pool house." "NEW CONSTRUCTION TO BE FINISHED IN MAY 2019. A must see view that will truly take your breath away (both of the city lights and mountains). A grand kitchen and open living area featuring a panoramic bi-fold window wall that opens to outside. The downstairs living area also features a second master bedroom and a next-gen living suite. The upstairs has a master that has anything you would ever need, allowing you to soak in the City view with your very own private viewing deck. Next door a second similar house is being constructed. Buyer can select finishes." "Spectacular view point from high in the Alta Loma hills featuring a huge 1/2 acre parcel! Welcome home to this 5 bedroom plus bonus/library, 4 bathroom home offering both formal living and dining, as well as family room on the main level PLUS a family room and full-scale game room with bar on the lower level!!!! Built for a large group or someone who loves to entertain, this ENTERTAINER'S PARADISE has it all! Featuring gorgeous white cabinetry coupled with elegant granite, the Chef's Kitchen provides ample cabinet storage, as well as countertop space and a large center island with additional prep area. The master suite plus 3 additional bedrooms are all located on the main level with the remaining bedroom located on the lower level. The master provides the perfect atmosphere to sit and relax either in your luxurious spa tub or on the private balcony overlooking the city. The lower level game room, complete with black and white checker tile, is impressive to say the least, boasting plenty of room to play your favorite billiards, dance or stroll up and hang out at the full bar! The backyard is exactly what you would expect...AWESOME. There is a huge yard with a large pool featuring a diving board, spa and custom barbeque cook station. The home also offers 2 fireplaces, RV parking, a basketball court and 3-car garage!!" 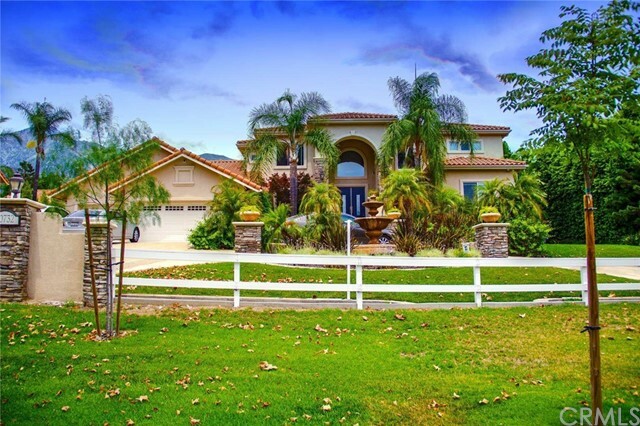 "Luxurious Rancho Cucamonga home!! This five bedroom home has everything you're looking for, whether you entertain or need room for your toys! The courtyard has access from four areas and sits beautifully within the center of the home with it's own fireplace. A large office downstairs can also be used as a game room. The kitchen is open to the family room and morning room giving the home a very open feel. There are thirteen rooms total, lots of privacy. The back yard has a built in BBQ and rock schemed pool with spa. Plenty of RV parking on the side of the home on the second driveway. The master bedroom and en suite are sure to please. All this and yet close to Victoria Gardens, restaurants plus more." "Welcome to your private resort. 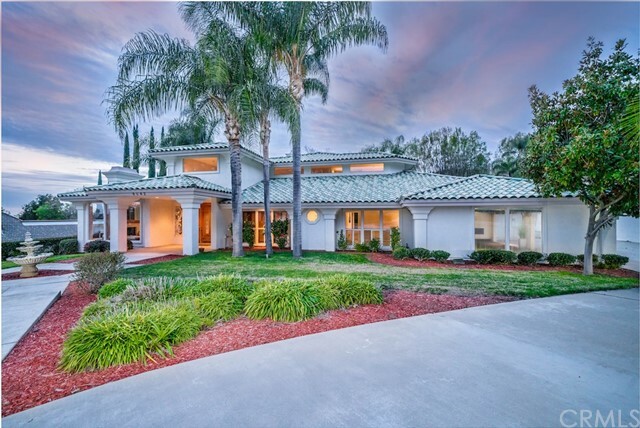 This extraordinary custom home in the hills of Alta Loma is Turnkey inside and out. Double door entry welcomes you to the breathtaking expansive floor plan, from the formal dining room to the large open living room. Chefs Kitchen is equipped with high end stainless steel appliances, a double oven, two dishwashers, warming drawer, granite counters, wine refrigerator and rich wooden custom cabinetry. Upstairs has beautiful real wood flooring. Master Bedroom has elegant high ceilings, two walk-in closets, Jacuzzi Tub, beautiful glass door shower, and it's own fireplace. The Yard is a paradise, beautifully designed from the large covered patio, to the putting green, the detailed landscaping, to the majestic pool and spa, and of course there is plenty of room for RV Parking. You must come and view this property, it is an entertainers paradise that you do not want to miss!"